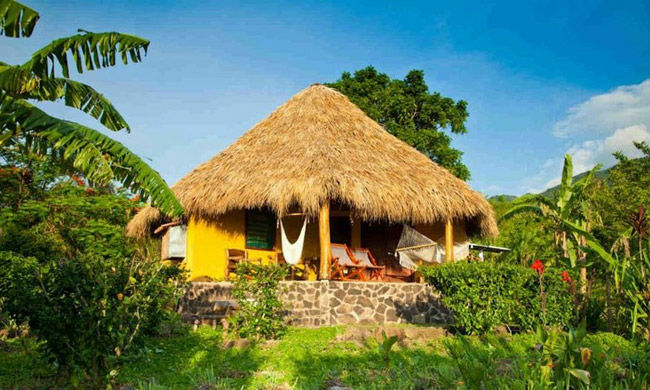 Totoco Eco-Lodge is located on the magical island of Ometepe, on the slopes of Maderas Volcano. 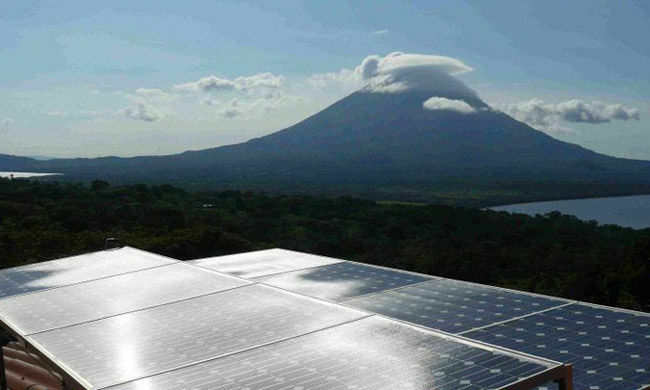 The principle route to the island is through the port at San Jorge which is just over two hours driving from the country’s main international airport in Managua, 1 hour from the colonial city of Granada and 45 minutes from the coastal village of San Juan del Sur.Welcome to Totoco Eco-Lodge, Ometepe Island’s most unique and environmentally responsible hotel. 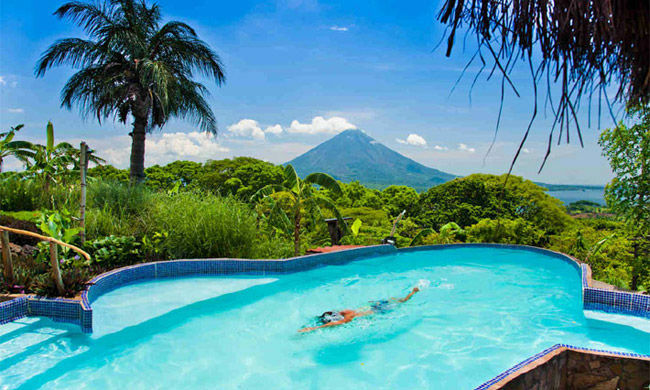 Situated at 200 meters elevation at the gateway of Maderas Volcano’s cloud forest, Totoco is surrounded by all things natural. With panoramic 320 degree views, the Eco-Lodge and swimming pool enjoys vistas unrivaled by any other hotel on the island. 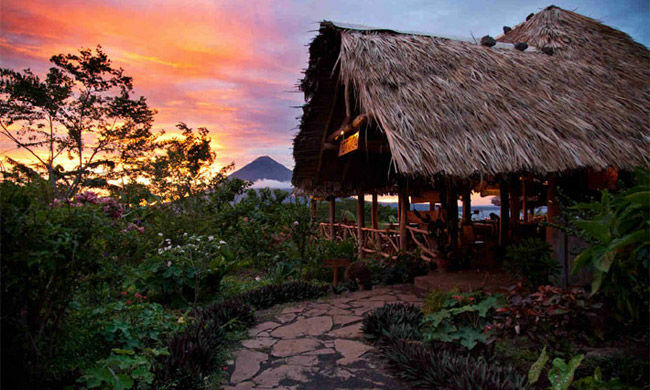 The Totoco property itself comprises 15 acres and includes its own organic farm while bordering the property is one of the island’s premier organic shade-grown coffee plantations. 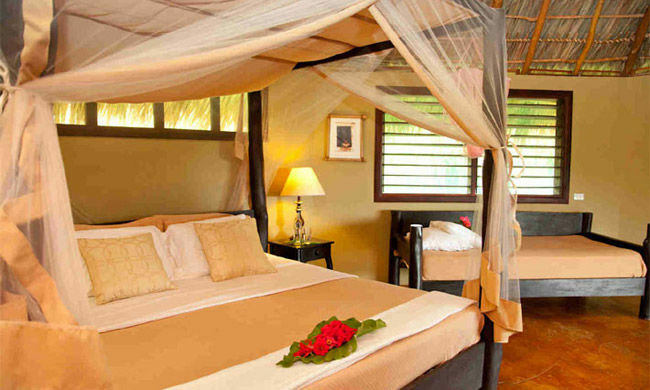 Pure comfort and natural luxury best define the experience at Totoco Eco-Lodge. 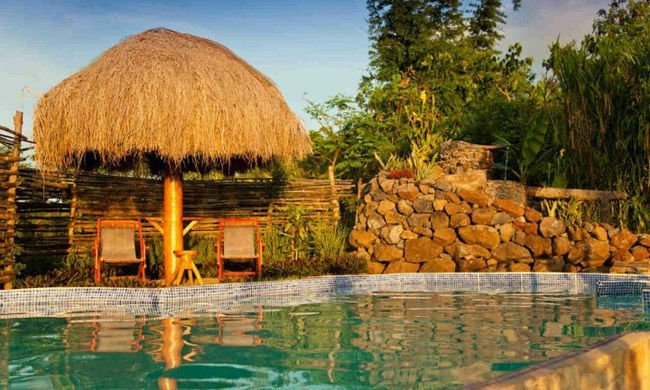 Each lodge and cabana enjoys its own private setting with a spectacular view of the lake and Concepcion Volcano. The main lodge and swimming pool have equally impressive views and offer bar & restaurant service with international and local specialties. 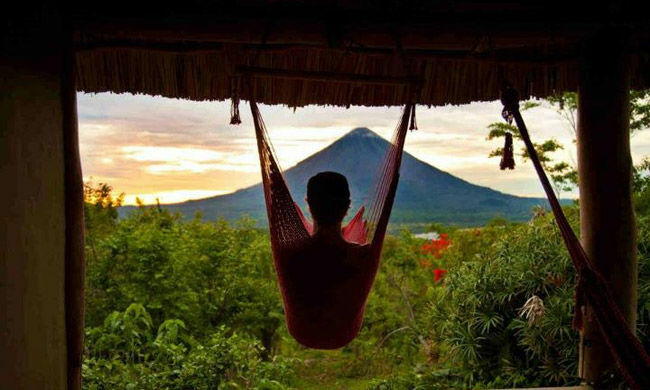 Ometepe Island is one of the most unique, magical places on earth. Apart from taking in the special vibe that permeates this place, there are two (two!) 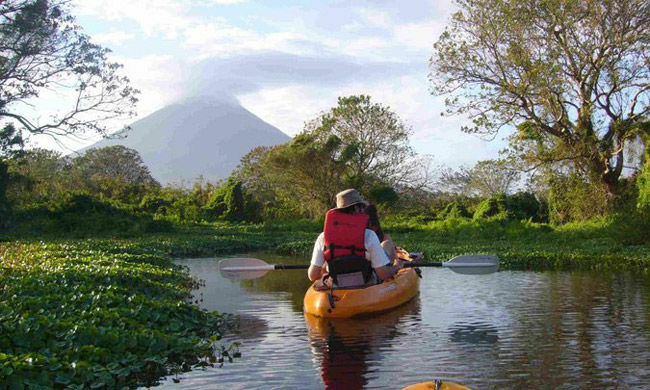 volcanoes to climb, wetlands to kayak, horses to ride and waterfalls to hike to. The special energy of the island and the tranquility and privacy of Totoco’s natural surroundings make this the ideal place to truly relax and practice the difficult art of doing nothing. 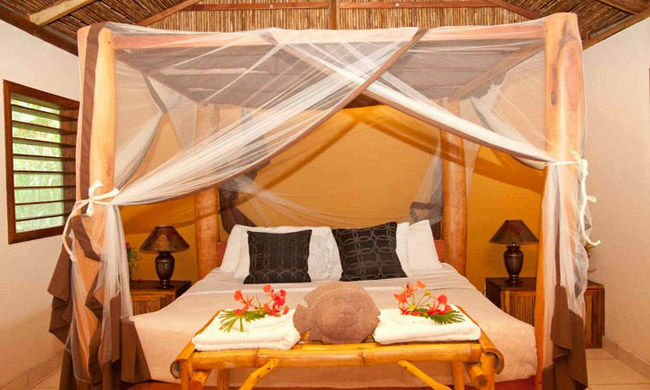 Your private porch, the lounge at the main lodge and our swimming pool are ideal places to stay lazy and read a book in a hammock while sipping on a fruit juice. Take relaxation to the next level by treating yourself to an ayurvedic massage or visit the beach at Santo Domingo, or the crystal clear waters Ojo de Agua for a refreshing swim. 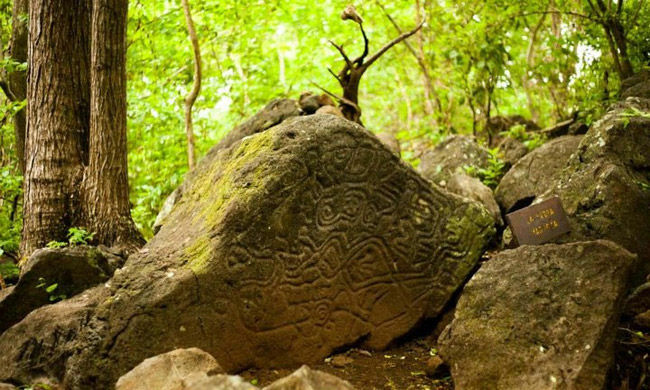 The pre-Columbian Nahuatl Indians who inhabited the island left an impressive legacy in the shape of thousands of petroglyphs (rock carvings) and larger stone statues that can be admired here. Totoco also encourages guests to visit and meet local people, and learn how they live and work. The Totoco Foundation offers a guided tour through our local community and is an excellent way to get a first-hand glimpse of local life.